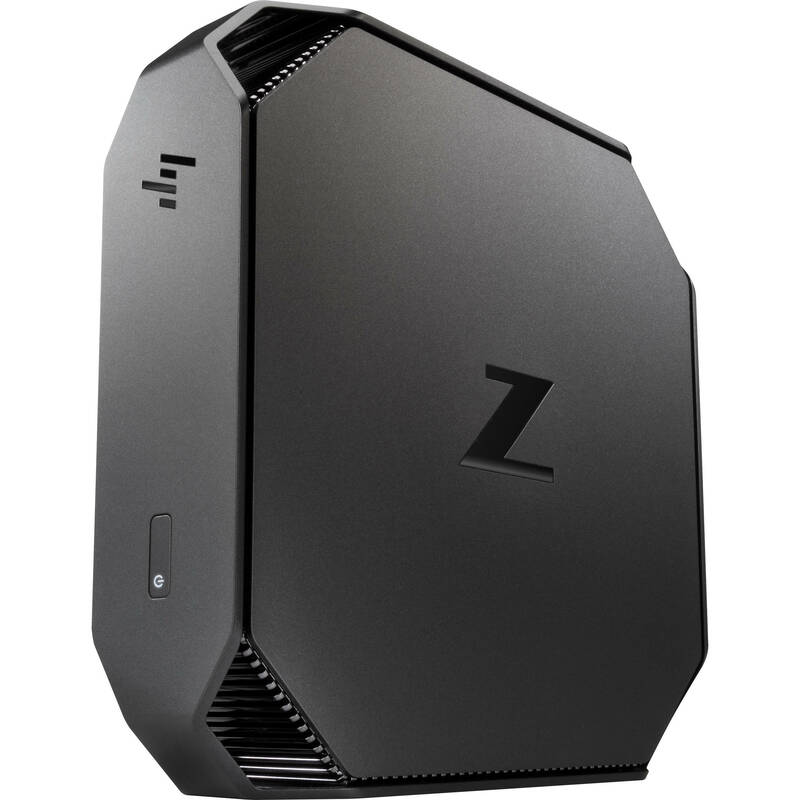 Whether undertaking graphics-intensive designs in 2D or 3D CAD, or running multiple applications at once, the Z2 G4 Mini Workstation from HP delivers next-level performance for architects, creative professionals, education labs, and more. It has the ability to support single- and multi-threaded software, and is certified for Bentley MicroStation, AutoDesk AutoCAD, GRAPHISOFT ARCHICAD, Vectorworks, Autodesk Revit, and SolidWorks, along with Adobe titles including InDesign, Photoshop, Illustrator, Lightroom, and XD. With flexible configuration and deployment options, it is a solid choice for modern workspaces and at 2.28" high, it is 1/4 the size of the Z2 Small Form Factor system. Using the separately sold VESA mounting sleeve, the Z2 G4 Mini can be secured under your desk or behind your monitor, and can also be mounted in racks for virtualized installations. The system is powered by a 3.0 GHz Intel Core i5-8500 Six-Core processor that will allow you to run multiple applications simultaneously and can be boosted up to 4.1 GHz. The 8GB of 2666 MHz DDR4 RAM helps to ensure smooth multitasking and also allows the computer to quickly access frequently used files and programs. While the current memory configuration is 1 x 8GB, there are two 260-pin SO-DIMM memory slots that will allow the RAM to be upgraded to 32GB, using a 16GB chip in each of the two slots. For storage of your files, the 256GB Z Turbo Drive G2 PCIe SSD has an M.2 2280 form factor, uses the PCIe 3.0 x4 bus, and offers quick access to your data. For additional internal storage, there is an empty 2.5" / 9.5mm drive bay for a SATA hard drive or SSD. If you want to add external storage drives or other peripherals, the Z2 Mini G4 features two 10 Gb/s USB 3.1 Gen 2 Type-C ports and four USB 3.1 Gen 1 Type-A ports, with one of the Type-A ports doubling as a charging port. The dedicated NVIDIA Quadro P600 graphics card has 4GB of GDDR5 RAM, delivers a sharp, clear picture, and features three DisplayPort 1.2 outputs which support a maximum resolution of 4096 x 2160 @ 60 Hz. Whether you are listening to music, watching a movie, or playing a game, the integrated Conexant CX20632 5.1 audio codec outputs high definition audio and delivers higher fidelity than standard audio controllers. The Z2 Mini G4 Workstation includes a USB keyboard, a USB mouse, and a power cord. It runs using a 200W external 3-pin slim power supply that is 89% efficient and operates using 100-240 VAC at 47-63 Hz. The installed operating system is Windows 10 Pro (64-bit). B&H Photo is an authorized HP reseller with professional in-house technicians available for upgrades & installations on these workstations and laptops. Built with power and speed in mind, the Z Series is designed to enhance audio and video post-production workflows and more. Each HP Z series workstation or laptop features a range of top-tier processors and large RAM loadouts. The workstations are built with graphics flexibility in mind as well so that the end consumer can configure the graphics options to their needs, and each unit includes a 3/3/3 warranty - 3 years limited warranty for parts, 3 years limited warranty for labor, and 3 years of repairs performed at customer site for those parts not eligible for Customer Self Repair (CSR). For 24/7 customer service, please call 1-800-334-5144. Designed for those who shape the world around us, the Z2 Mini G4 delivers advanced performance for 2D drafting and 3D design workflows. Create realistic models and get real-time interactivity with detailed 3D structures. Speed up your creative process with a powerful device for 2D design workflows. Get lag-free performance when working in multiple layers and performing complex tasks. Plus, you have plenty of space to organize and store your large high-resolution files. Bring real-world capabilities to your education labs with workstation-class power and certification for popular professional applications. Protect your investment while saving space by using the VESA mounting sleeve with security features. HP's engineers have designed the thermals to optimize airflow for efficient, quiet performance during heavy workloads. Get powerful protection from evolving malware threats with HP's self-healing, hardware-enforced security solutions. Plus, easily manage multiple devices with HP Manageability Integration Kit. The system uses an integrated Intel I219-LM PCIe Gigabit controller for internet access when connected to a router, modem, or network switch. It also features Intel Dual Band Wireless-AC 9560, which is compatible with 802.11a/b/g/n/ac Wi-Fi so that users may access network connectivity using 2.4 or 5 GHz wireless technologies. The wireless module is installed in a M.2 2230 slot, which uses a PCIe 3.0 x1 interface. Additional compatible peripherals, such as mice, keyboards, headsets, and more may be paired using Bluetooth 5.0 technology. The Z2 Mini G4 features two 10 Gb/s USB 3.1 Gen 2 Type-C ports and four USB 3.1 Gen 1 Type-A ports that will allow you to connect external peripherals such as hard drives, printers, and memory card readers. These fast speeds mean you can spend less time waiting and more time focusing on the task at hand. The three DisplayPort 1.2 outputs are able to support up to four directly-connected displays, and the system can support up to six displays when using a combination of Intel UHD graphics, discrete graphics, and Windows 10. Intermixing integrated Intel UHD graphics and discrete graphics cards to drive more than three displays can be enabled using the Computer (F10) Setup Utility. However, HP recommends using only discrete graphics when four or fewer displays are required to be supported. Multiple displays daisy chained from one DisplayPort 1.2 output requires DisplayPort 1.2 MST capable displays or a DisplayPort 1.2 MST capable hub. When using one display, the maximum supported resolution is 4096 x 2160 @ 60 Hz, and this drops to 2560 x 1600 @ 60 Hz when two displays are used. When using four displays, the maximum supported resolution is 1920 x 1200 @ 60 Hz. Two 260-pin SO-DIMM slots support up to 32GB of non-ECC Unbuffered 2666 MHz DDR4 memory. Box Dimensions (LxWxH) 19.6 x 11.6 x 6.5"